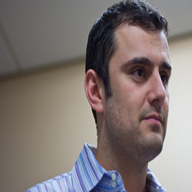 Gary Vaynerchuk, a businessman with a powerful social media success story, brings his "Crush It!" attitude to the American University campus on October 14. The event is also in partnership with Ogilvy Public Relations Worldwide. Ogilvy's John Bell and AU Professor David Johnson will moderate a Q&A discussion with Vaynerchuk after his initial remarks.